4092 Riviera Dr #1, San Diego, CA 92109 (#190012453) :: Neuman & Neuman Real Estate Inc. Reduced! Live the PB dream life west of Riviera near Sail Bay! 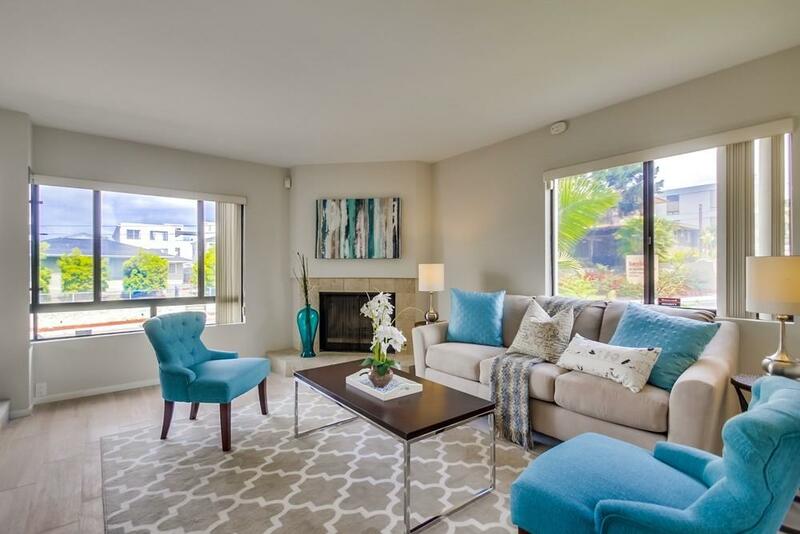 This spacious 2BR/2.5BA townhome has 2 gated side-by-side parking spaces w/ direct entry to unit + a rare ~8ft x 12 ft Private Walk-In Storage Room for all your garage storage needs. 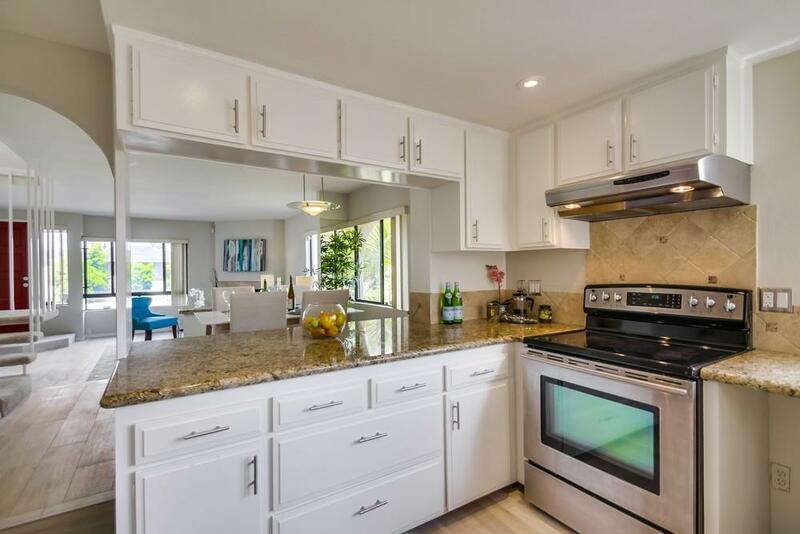 Sleek 8" Italian Tile floors perfect for the beach, lots of light, open floor plan and modern upgrades including: Stainless Steel appliances, Granite counters, living room gas fireplace, interior laundry & dining room wet-bar for guests. Walk to everything! 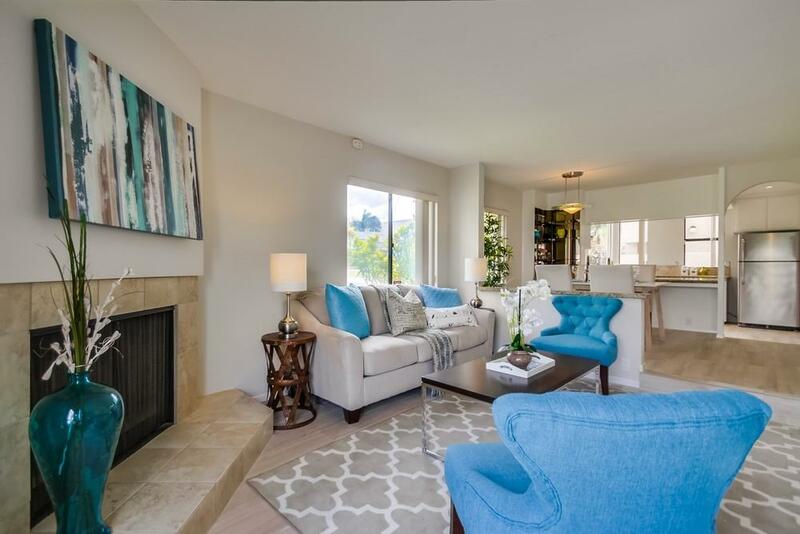 Living West of Riviera provides you with walkable access to Sail Bay for a morning SUP, beach day, Fanuel Park playground, Mission Bay Boardwalk & all the fun restaurants and dining options in PB. FLOOR PLAN: Dual Master Suites are upstairs with both bedrooms having their own connected en-suite bathroom Ã¢â‚¬â€œ perfect for guests, roommates or rental income! The Main Master Bedroom includes 2 closets and a large master bathroom with Dual Sink quartz vanity, LED recessed lighting & Master Shower/Tub. OTHER INFO 1) Washer-Dryer is Side-by-Side off Kitchen Area. 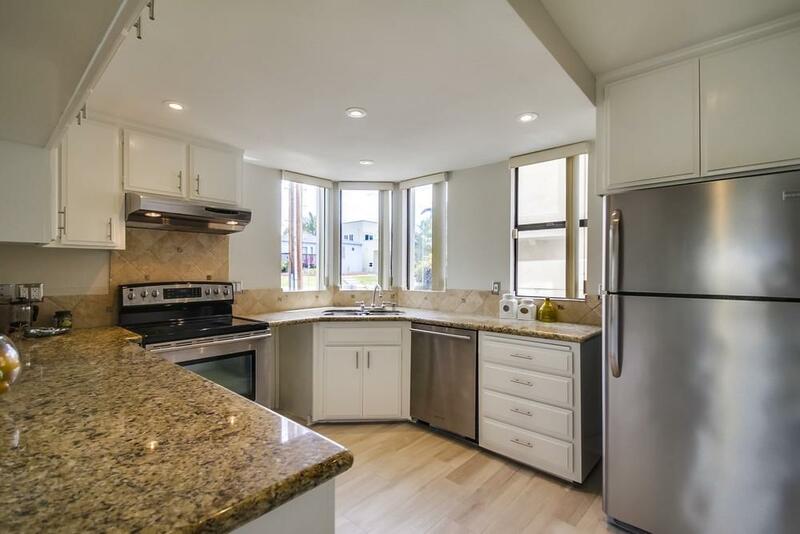 2) Half Bath Powder Room near kitchen 3) 2 Parking Spaces, side-by-side, in a gated secure garage with direct stairway access inside the unit 4) HUGE private storage walk-in closet for boards, bikes, beach toys, garage equip 5) Lots of windows, skylights, light inside the unit! 6) LOW $295 month HOA fee includes water. 7) Vacation Rentals most likely not allowed per CCRs/Owners. 8) Pets Ok = 1 dog or 1 cat. 9) 2 Parking Spots left of Entry Gate & Spot Next to left Spiral Stair--Storage Unit Next to stairs to your unit.